The Helios4 is an open source NAS system based on a dual-core ARM Cortex-A9 CPU that includes 4 SATA3 ports. Because the board includes SATA ports, the hard drives run at full speed giving better NAS performance. The system runs operating system distributions based on either FreeBSD or Linux, which of course includes NAS systems like Open Media Vault. Finally, a single-board-computer with which to build a low cost low energy consumption do-it-yourself NAS system. 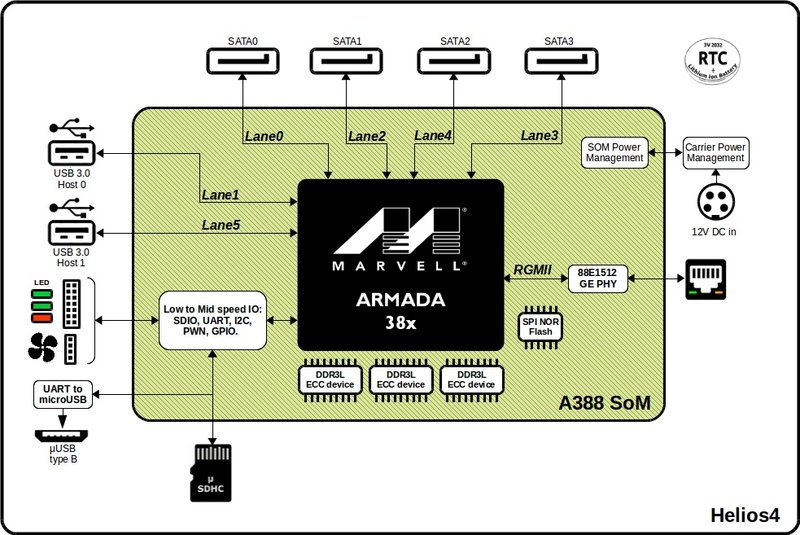 The SBC is based on the Marvell Armada 38x system-on-module (SOM) device. As you see, the SATA, USB3, and other ports, directly connect with the SOM. Clearly this is a capable computer, whose focus is on the NAS market. The memory and CPU speed are very strong - 2GB and dual core 1.6GHz is excellent, amd is well above most of the other Linux SBC&apos;s on the market. Between the SATA ports and Gigabit ethernet, this should deliver excellent NAS performance. Interestingly it also includes GPIO pins, and an I2C port, making it possible to integrate this with a hardware project. Though it&apos;s hard to come up with a hardware project requiring 48 terabytes of data storage. These are the boot modes. Ponder - how do you set this up as a NAS? Is booting off an SD card a good choice? I doubt it. The NOR Flash is only 32 megabits which doesn&apos;t seem large enough to serve as a boot partition. Therefore - a typical NAS built from this would boot from partitions on the drive attached to the first SATA port. 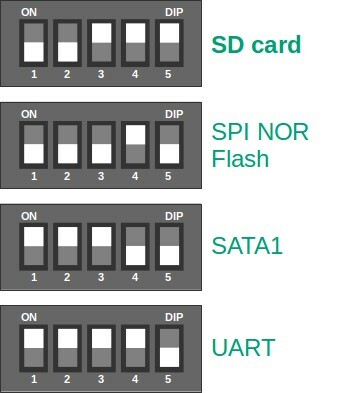 Then the OS would be configured to merge partitions from the 1st through 4th SATA ports into a RAID configuration. The available kit includes the casing, some cables, and a power supply. The casing is simply acrylic sheets. You screw the drives to the acrylic sheets, add front and back acrylic sheets that hold the fan and air vents, and attach the CPU board at the bottom. Assembly is ingenious, in other words, and very unlike other systems requiring metal cases. The official installation instructions does have you boot a Linux off an SD card, and then use something like "mdadm" to set up RAID. Cost is about $200 for the complete kit which of course does not include drives. Helios 4 is a network attached storage Or NAS. 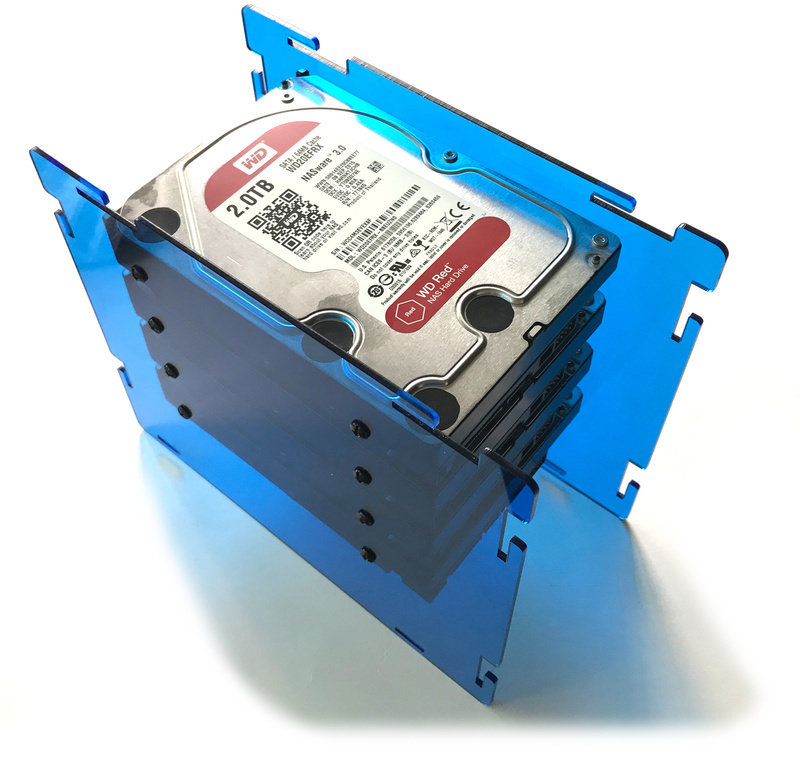 It is basically a single board computer with 4 hard drives attached to it to store and share data. This way, you can create a personal cloud, where you can store your Photos, Songs , and Movies by connecting it to your Home network. Time Lapse Video of Helios4 Kit assembly.